The Pazuzu. 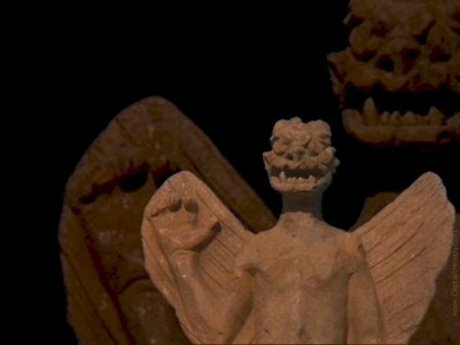 Pazuzu in the exorcist film. Wallpaper and background images in the The Exorcist club tagged: the exorcist lindablair pazuzu devil exorcist captainhowdy. This The Exorcist photo contains triceratops. There might also be شنکھ and گلاس روز.